Bruce Feirstein has a lot to answer for. Since the release of his 1982 book Real Men Don’t Eat Quiche, women all over the world have been forced to disguise their offerings as ‘egg and bacon pie’ for fear their husbands would eschew it. Real men do eat quiche. In fact, if they’re hungry enough they’ll even tuck into second helpings. Kale, Bacon and Quinoa Crustless Egg Pie Quiche. Gently fry the leek and garlic in olive oil until translucent. Remove and place into a large bowl. Add the bacon to the pan and cook until crispy. Remove and add to the leek mix. Add kale to the pan and cook until wilted and bright green. Combine kale, bacon and leek mix, corn, quinoa and both cheeses. Stir until well combined. The residual warmth from the cooked ingredients will partially melt the cream cheese and make it easier to distribute. In a separate bowl, whisk the eggs. Then pour the eggs over the kale mixture. Sit until well combined and the egg is well incorporated in the mix. Pour the mixture into a greased pie dish. Bake at 180C for approximately 45 minutes, until the egg pie quiche is golden brown. I had to make this twice – the first egg pie quiche disappeared before I could photograph it. I served it to two ‘real men’ and they both had second helpings. oh my gosh this sounds incredible! adding it to the meal planner! Great Lyndal. I’ve been trying to meal plan lately, but often it goes out the window by Wednesday. Must try harder! Ha Holly! D and I had a moment early in our relationship. I served a pretty gluggy vegetarian risotto. He ate it happily, then said “That was nice, but let’s never eat another meal without meat again”. Bacon is my token meat inclusion! Yum, I would love this except hubby won’t eat eggs ever!!! lol, love the ‘quickie’ photo. My hubby does and would eat quiche….covered in tomato sauce must to my dismay. Ruins it, after my good work! That’s how I feel about tomato sauce too. At least taste it, before you smother it in the red stuff! Thanks Kelly. Crustless quiche is how we roll, I’m trying to make healthier choices and the rest of the family are stuck with it – like it or not! Lol, I’m the non-quiche eater in this house! Ever since my Mum tried to get spinach in her quiche past me when I was 10 I’ve been wary of it. Every time I take a bite of a quiche now I think of that night. It changed me. Ha! Our parents always manage to wreck something for us! My Mum won’t touch cabbage or choko because of bad childhood experiences, but I love them both. It must skip a generation! My husband groan when I mention we are having quiche.. but still eats it. 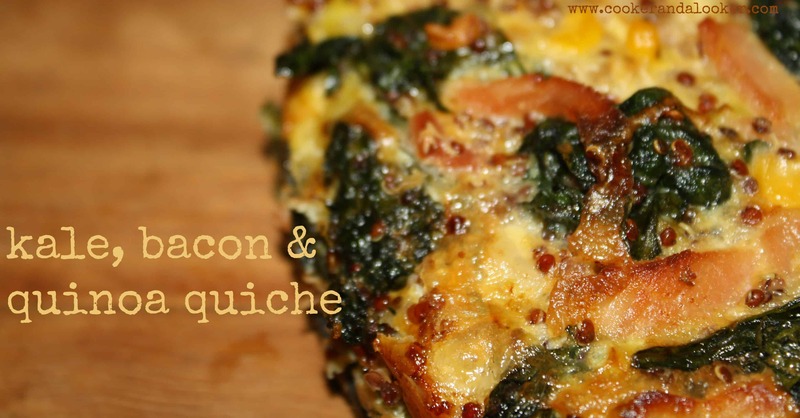 I love quiche for the kids because I hide so many veggies in there its ridiculous! I agree iSophie. Quiche, fritters, spag bol are on high rotation for the girls … I’m a veggie smuggler too! Oh Yum! My kids and Boatman would love this! I was looking for something new to cook tomorrow and I have heaps of bacon, so I think this will do! Let me know how they like it Jess! Oh I love everything about this, it would totally disappear in our house – kale and quinoa are two of our favourite ingredients and who doesn’t love bacon? Totally agree – I have a board on Pinterest dedicated solely to bacon. Bacon rose anyone? 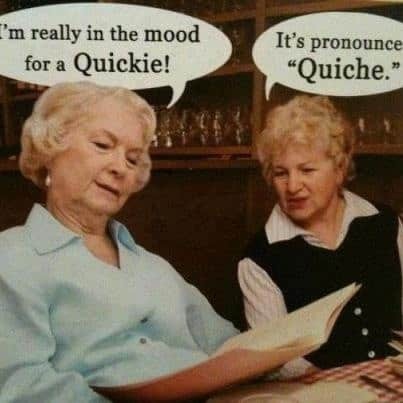 We love quiche here. Usually make Impossible Pie for easy. One of my plans for the new year is to try quinoa, never had it before. Will definitely add it to my quiche and see how it goes. Wow will have to try this love quiche, and great for meal planning but have never done it with quinoa. Will have to give it ago. As my husband wants me to try using quinoa and I’m not so sure.